The University of Kentucky Special Collections Research Center (SCRC) successfully completed work on its National Endowment for the Humanities (NEH) digitization grant, resulting in online access to 140 cubic feet of materials from the Bert T. Combs Appalachian Collection. The materials from the Coal, Camps, and Railroads project are available to the public through the digital library ExploreUK. the company towns, their services and the individuals who grew up and made possible this economic development. 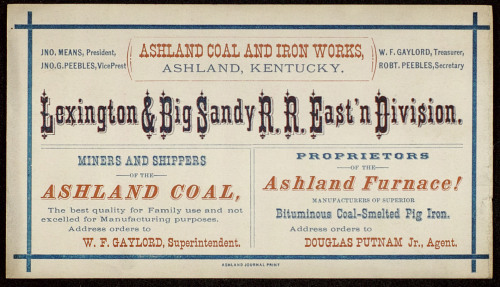 These collections include the Benham Coal Company records, Wheelwright collection, Sherrill Martin papers, Louisville and Nashville Railroad Company and Lexington and Eastern Railway Company records, and the Kentucky Union Land Company records. 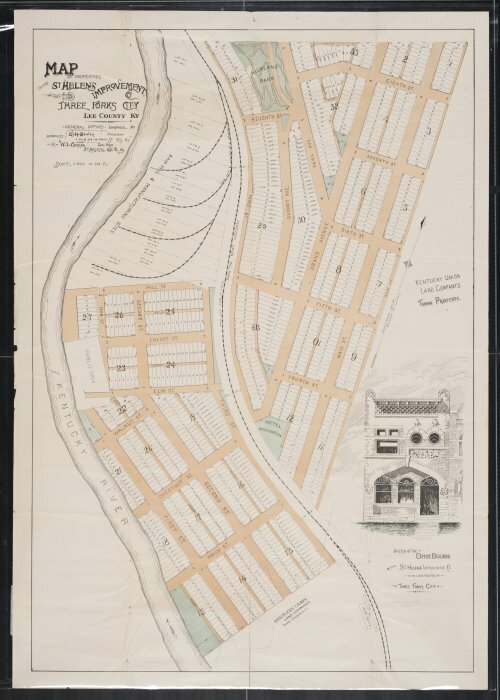 Additional details on the collections can be found at http://uknow.uky.edu/content/coal-camps-and-railroads-digitizing-primary-sources-appalachian-economic-development. UK SCRC was originally awarded the NEH’s Humanities Collections and Reference Resources (HCRC) grant for the Coal, Camps, and Railroads project in 2013. The HCRC program supports projects that provide an essential underpinning for scholarship, education, and public programming in the humanities. Thousands of libraries, archives, museums and historical organizations across the country maintain important collections of books and manuscripts; photographs, sound recordings and moving images; archaeological and ethnographic artifacts; art and material culture; and digital objects. Funding from this NEH program strengthens efforts to extend the life of such materials and make their intellectual content widely accessible, often through the use of digital technology. UK Special Collections Research Center is home to UK Libraries’ collection of rare books, Kentuckiana, the Archives, the Louie B. Nunn Center for Oral History, the King Library Press, the Wendell H. Ford Public Policy Research Center, the Combs Appalachian collection and ExploreUK. The mission of the center is to locate and preserve materials documenting the social, cultural, economic and political history of the Commonwealth of Kentucky.